Situated in a very quiet street in the town, modern house with fenced garden of 670 m². Living / dining room of 30 m² with fireplace, independent WC. On 1st floor : Landing, 3 bedrooms of 16 m², 12 m², 12 m², study of 7 m², bathroom comprising bath, washbasin and bidet. Oil central heating. Mains sewerage. Ensemble de deux gîtes de 8 et 4 couchages, situé à 3 kms de la plage. Salle d\'eau avec douche, lavabo et WC, Bureau de 8 m². 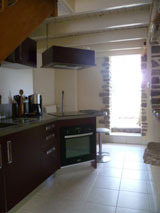 Gite 2 comprenant: Cuisine aménagée et équipée, Salon avec cheminée, salle d\'eau, buanderie et 4 chambres. A Lovely Modern Property with Large Garden. Bungalow with a large independant garage of 250m². Entrance, fitted kitchen of 13m²,utility-room of 6m² with fireplace.Living-room of 30m², veranda of 16m²,2 bedrooms of 13m². Bathroom comprising a shower and washbasin, separate WC. Possibility to obtain 2500m² more. Nice village house set in a village at 5 mn from shops between Anvin and Bruay la Buissière, less than 60mn from Calais including: fitted kitchen, living/dining room, 2 bedrooms, cellar, garage, bathroom, wc , conservatory, fireplace, electrc heating, septic tank set on 1700m² of land.Very nice view ! Beautiful new built house set in a village with shops in the Canche valley between Hesdin and Montreuil including: fitted kitchen, living/dining room, 5 bedrooms, a study, full basement including cellar, garage and utility rom, town gaz central heating, set on 1500m² of land. This house / villa (villa) , with a land size of 2200 m² (about 0,54 acres) has 8 rooms including 5 bedrooms, 1 bathroom and 1 toilet. It has a living room. Heating : fuel oil. This house / villa (contemporary house) , with a land size of 1000 m² (about 0,25 acres) comprises 6 rooms including 3 bedrooms, 1 bathroom and 1 toilet. It is provided with a living room and with a garage. Others : fireplace. Situated 2 miles to the sea side, confortable house. Bathroom with angle\'s bath and washbasin, independent WC. Only 2mn driving from Hesdin, spacious L shape renovated farmhouse set on 1300sqm of land, in good general condition. It comprises of: open plan fitted kitchen, large living/dining romm of around 45sqm with exposed beams, 3 bedrooms, study, bathroom, huge loft to convert with possibility for 5 extra bedrooms, 2 cellars, 3 garages, town gas central heating, double glazing windows. Only 20mn driving from Boulogne and 30mn from St Omer, attractive traditional longère-style property set on 3000sqm of land. Its 130sqm living space comprise of: lounge with open fireplace, dining room, kitchen, 3 bedrooms, 1 bathroom and 1 shower room, wc, roofed terrace. Outbuilding of 25sqm with concrete floor and velux windows. Small wooden shed. New gaz central heating, septic tank. This house / villa , with a land size of 1700 m² (about 0,42 acres) has 5 rooms including 3 bedrooms, 1 bathroom and 1 toilet. It has a living room. Others : fireplace. About a 10mn drive from St Pol sur Ternoise, quiet location. Very attractive village property of 150sqm living space, set on a nice planted land of 1700sqm. Built on 3 levels, it comprises of, on the groundfloor: living/dining romm with fireplace, fitted kitchen, 3 bedrooms, bathroom, wc. Upstairs: 2 bedrooms with view upon the garden and shower room. Loft to convert (possibility 2 further bedrooms). Full and spacious basement with possibility to park large vehicles. At the back, very nice south-facing terrace, garden, barbecue. oil central heating, septic tank. Nice view. Viewing recommended. Ground floor: kitchen (10 sqm), living room (32 sqm), WC. Upstairs: passage, 3 bedrooms (about 10 sqm each), bathroom (3.5sqm). garage.